Did you favorite team buy or sell at the deadline? Target: Hey WalMart! This is our year and so we really are interested in adding some important pieces. We are interested in your store manager. We’d like to bring him in to work for us. What will it take to make that happen? WalMart: Well, he is available, but its going to take 3 of your top 20 up and coming cashiers, 2 Seasonal workers and a pharmacist to be named later. Sounds pretty far fetched to me, yet in sports, that’s what we have. Competing entities swapping their “staff” to each other. What a unique world the world of sports is. 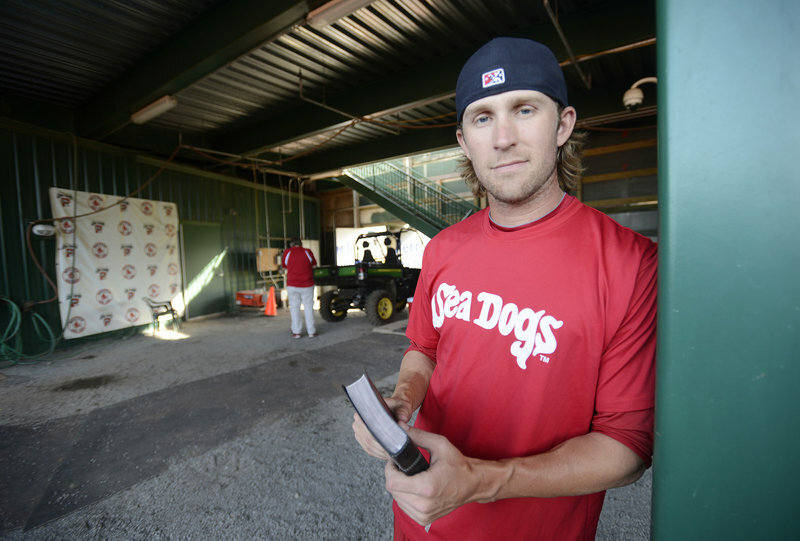 Josh Fields (bible in hand) in the minors with the Red Sox. God used a demotion to the minors to help Josh gain perspective on what is important. 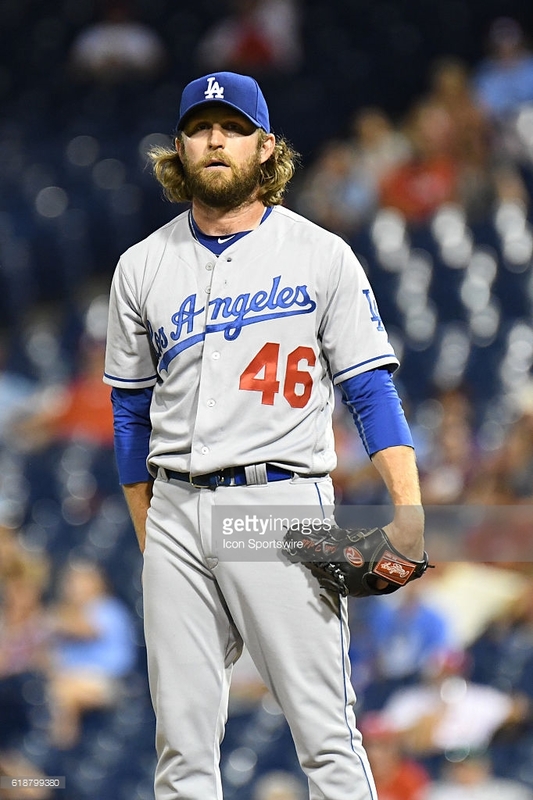 Today, I am going to share some of the story of a player who has been part of 2 trade deadline deals in his career, including the one that sent him from Houston to Los Angeles last season when Josh Fields was traded to the Dodgers for a minor league infielder. Originally drafted in the first round by the Seattle Mariners, he also was dealt on Trade Deadline Day in 2011 when the Mariners shipped him to the Red Sox along with Eric Bedard. 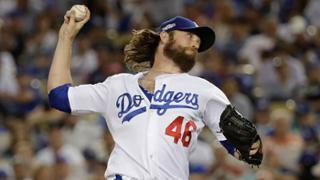 After joining the Dodgers last season, he pitched very well. He resigned with them in the off-season and he has been very solid for the best team in baseball this season. 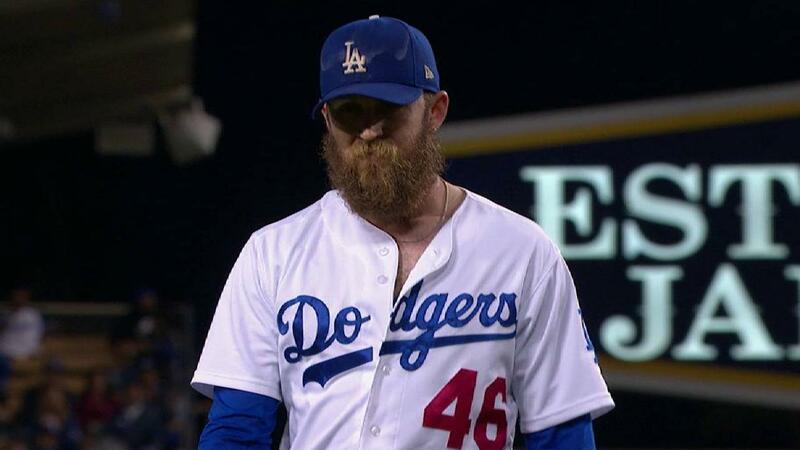 He is 5-0 holding batters to an average of under .200. So does he pray for? wins? strikeouts? No, instead, he says “One thing I always pray for is ‘God, make me an animal out here.’ I want to dominate these guys. I want to go after them as hard as I can — 100 percent — and not back down.” and while this article from yard barker.com, talks about a demotion to the minors in 2014, that time was used to help Fields reset his perspective on what is important and also to learn a new pitch that has helped him remain largely successful since. 1- Make me an Animal – That is the prayer that Fields prays before appearances. He doesn’t pray for wins or strikeouts, he simply asks that God would make him an animal. That he would give everything he’s got and that he would not back down. I think that is a prayer that we could ask God for ourselves. That we would not back down from opportunities to honor Him. That we would give all we’ve got to our service to Him. Fields also said that he reminds himself why he is there – not for his own glory but for God. I am challenged to give God my all. Fields has twice been traded at the trade deadline. His goal for baseball is to build solid relationships with others and be open about his faith in God. 2- Traded – I started this post talking about yesterday’s trade deadline. And how strange it is to be dealt from one team to a competitor. From one day being a star of one team to the day, trying to overtake that team and win with the new team. I was thinking about how to connect the concept of “trade” to our spiritual life. Immediately, my mind went to the late 90’s worship tune “Trading my Sorrows” by Darrell Evans. I can see so many mission trip participants singing this song and acting out motions as they led services on these trips. And while I did get tired of the song, the concept is biblically sound. Psalm 30.11-12 talks about mourning being turned into dancing. Ephesians 4.21-22 talks about trading in the old self and putting on the new. And Romans 12.2 talks about not conforming to the ways of the world but being transformed by the renewing of your mind. So there is a trade there. We trade in the uniform of sin, pride, rebellion and selfishness and put on the righteousness of Christ. He gives us the “new self”, he transforms our mind so we can resist worldly ways, He transforms us by changing the way we think when we set our minds to follow Him. And later in Romans 12, it tells us that “All things work together for good for those who love God and are called according to his purposes”. So even in the midst of our sorrow, he is working to bring good. It is on us to allow him to do that. Let’s not get caught up remembering the old, let’s trade it in for the new and better that comes from following Christ.